The Debut Dish, a bi-monthly Debut Author Challenge feature, is where you go for the scoop on some pretty awesome debut authors and their new books! Hopefully these interviews will inspire you to add many, many more books to your to-read list. Because, really, who doesn’t need more books in their lives? This issue of The Debut Dish features Lana Popovic (Wicked Like a Wildfire), Chelsea Bobulski (The Wood), Rebecca Barrow (You Don’t Know Me But I Know You), and S.F. Henson (Devils Within). All the women in Iris and Malina’s family have the unique magical ability or “gleam” to manipulate beauty. Iris sees flowers as fractals and turns her kaleidoscope visions into glasswork, while Malina interprets moods as music. But their mother has strict rules to keep their gifts a secret, even in their secluded sea-side town. Iris and Malina are not allowed to share their magic with anyone, and above all, they are forbidden from falling in love. But when their mother is mysteriously attacked, the sisters will have to unearth the truth behind the quiet lives their mother has built for them. They will discover a wicked curse that haunts their family line—but will they find that the very magic that bonds them together is destined to tear them apart forever? Describe your book in five words or less. Witchy twins and family curses. Tell us about your favorite scene in your book. Most of my favorite scenes are spoilers with High Drama and Magic, but without giving away too much, the scene that actually sparked this story is the one captured in the twins’ shared dream after their mother is attacked. The atmosphere of dark, ancient magic worked by fierce women against a wintry Montenegro backdrop lived with me for a long time before the book was written. Where were you when you found out you were being published? I was working from home, and it was the end of a work day in which I’d also been finishing up a deal for an author client. So when the offer from Katherine Tegen Books landed, it was a total “cup overfloweth” moment. I was by myself, and I didn’t have any rakija–which is the Serbian go-to drink for pretty much anything that can be considered a celebratory occasion–so I poured two shots of vodka, cheersed with myself, and then poured one of them out in thanks. What’s your favorite junk food? Nachos made with Doritos, then smothered in melted sharp cheddar, black bean salsa, and Greek yogurt. Seriously, try it. Then join my support group. What’s the oddest thing on your desk right now? Part of my desk is a makeshift curio cabinet, so it’s kind of an embarrassment of riches when it comes to calling out the weird stuff. I think it’s currently a tie between the crystal fractal tree my partner brought back from Sweden in honor of Wicked, and the herbal spell candles that hang from my cabinet knobs and are made by a very crafty friend. After her father goes missing in the woods that they protect, Winter tries to seek the truth in what happened, why the wood is changing, and what it all has to do with the arrival of a mysterious stranger in this thrilling YA debut. When Winter’s dad goes missing during his nightly patrol of the wood, it falls to her to patrol the time portals and protect the travelers who slip through them. Winter can’t help but think there’s more to her dad’s disappearance than she’s being told. 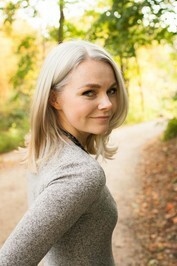 She soon finds a young man traveling in the wood named Henry who knows more than he should. He believes if they can work together to find his missing parents, they could discover the truth about Winter’s dad. The wood is poisoned, changing into something sinister—torturing travelers lost in it. Winter must put her trust in Henry in order to find the truth and those they’ve lost. Bobulski’s eerie debut is filled with friendship, family, and the responsibilities we choose and those we do not. Haunting, atmospheric, dangerous, magical forest. My favorite scene is when my main character realizes why the fabric of time is so important, and why we shouldn’t mess with it, even when we have the noblest intentions. At my house. I got the phone call after having a real heart-to-heart with God that morning about whether or not I was doing what I was supposed to be doing with my life. It had been five years since I’d started on my journey to becoming a published author, and the doubt monsters were really creeping in, making me wonder if it would ever happen. I felt God tell me to trust in Him, and that night I got the call! It was one of the most magical, amazing, heart-stopping moments of my life. Oreos. Kit-Kats. m&ms. Chocolate in general. Rebecca Barrow’s bright, honest debut novel about chance, choice, and unconditional love is a heartfelt testament to creating the future you truly want, one puzzle piece at a time. There’s a box in the back of Audrey’s closet that she rarely thinks about. Inside is a letter, seventeen years old, from a mother she’s never met, handed to her by the woman she’s called Mom her whole life. 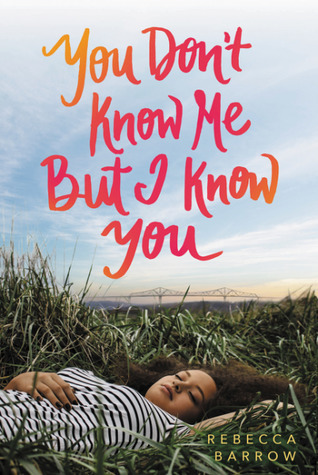 Being adopted, though, is just one piece in the puzzle of Audrey’s life—the picture painstakingly put together by Audrey herself, full of all the people and pursuits that make her who she is. But when Audrey realizes that she’s pregnant, she feels something—a tightly sealed box in the closet corners of her heart—crack open, spilling her dormant fears and unanswered questions all over the life she loves. Almost two decades ago, a girl in Audrey’s situation made a choice, one that started Audrey’s entire story. Now Audrey is paralyzed by her own what-ifs and terrified by the distance she feels growing between her and her best friend Rose. Down every possible path is a different unfamiliar version of her life, and as she weighs the options in her mind, she starts to wonder—what does it even mean to be Audrey Spencer? Art, love, choices, hope, reality. My favourite scene is kind of a spoiler so let’s go with my second favourite, where Audrey and her best friend Rose hang out in an empty dance studio. I was leaving work and remembered I’d gotten an email while I was closing up so decided to check it before I got in the car. Then I drove home blasting Beyonce at an obnoxious volume. Um…batteries and a tape measure. Killing isn’t supposed to be easy. But it is. It’s the after that’s hard to deal with. Nate was eight the first time he stabbed someone; he was eleven when he earned his red laces—a prize for spilling blood for “the cause.” And he was fourteen when he murdered his father (and the leader of The Fort, a notorious white supremacist compound) in self-defense, landing in a treatment center while the state searched for his next of kin. Now, in the custody of an uncle he never knew existed, who wants nothing to do with him, Nate just wants to disappear. Enrolled in a new school under a false name, so no one from The Fort can find him, he struggles to forge a new life, trying to learn how to navigate a world where people of different races interact without enmity. But he can’t stop awful thoughts from popping into his head, or help the way he shivers with a desire to commit violence. He wants to be different—he just doesn’t know where to start. Then he meets Brandon, a person The Fort conditioned Nate to despise on sight. But Brandon’s also the first person to treat him like a human instead of a monster. Brandon could never understand Nate’s dark past, so Nate keeps quiet. And it works for a while. But all too soon, Nate’s worlds crash together, and he must decide between his own survival and standing for what’s right, even if it isn’t easy. Even if society will never be able to forgive him for his sins. Like a teen American History X, S.F. 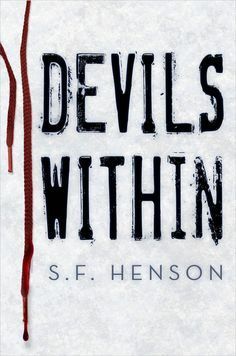 Henson’s Devils Within is gut-wrenching, thought-provoking, no-holds-barred look at the plague of white supremacy in contemporary American culture that may have you examining your own soul. A YA American History X. My favorite scene is in one of the early chapters. The main character, Nate, is describing how it feels to kill someone. He killed his father, a white supremacist leader, in self-defense, and as hard as it was to take a life, he’s happy his dad is gone. Because with his father dead the beatings stopped, both to him, and to anyone who looked or thought or acted different. With his father gone, Nate finally has some hope of moving past the hate that has always controlled his life. Standing in my kitchen with my husband. I might’ve literally screamed and almost dropped then phone, and there might’ve been some happy tears, and most certainly was a lot of jumping up and down. Anything sweet. Gobstoppers are my favorite writing candy, but otherwise I always gravitate toward chocolate. Especially if it’s covering peanut butter. Hmm, probably two lighters. I love lighting my favorite candle (Snuggly Sweater from Target) while I’m writing, so I keep a lighter handy. Or in this case, two of them, just in case. 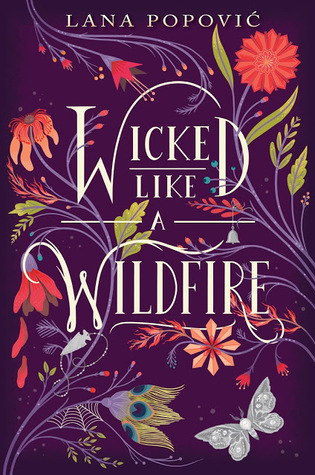 I loved Wicked Like a Wildfire. The descriptions totally pulled me into the book. From what they saw to what they ate. Fabulous. 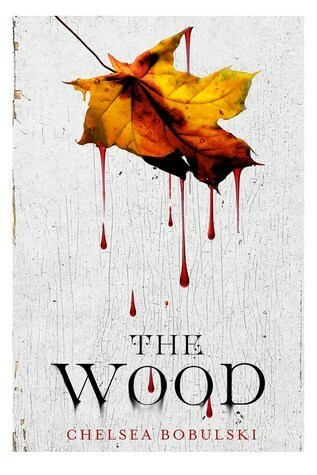 I want to read The Wood because it sounds suspenseful and mysterious. Devils Within sounds like a book that will make me see the world in a different way and keep me thinking about it long after I’m finished. These sound like cleverly plotted thrillers with supernatural elements! The Wood and the Devils Within sound really intriguing. I love a good suspenseful book during fall just makes it much more scary.